share of the leftovers (along with mine) once upon a time. My mom’s recipe includes a box of cornbread mix, as does just about every other corn pudding (or corn casserole) recipe I’ve seen. I started playing with the recipe, determined to come up with a version that didn’t require that boxed mix. This simple side dish is rich, creamy, sweet corn deliciousness that is unforgettable. My kids begged for seconds and would have happily eaten even more. If you haven’t tasted it before, you might be cringing at the thought of combining corn with anything and then calling it pudding, but I’m telling you that it works. Not one person I have ever served this to has failed to love it. Preheat the oven to 350 degrees. Grease a large cast iron skillet (or a 9x13 baking dish) and set aside. Whisk together the eggs and the sugar and then add in the sour cream, creamed corn and butter, stirring between each addition. Whisk together the dry ingredients and then add to the corn mixture. Stir until well combined. Pour into the prepared pan and bake for 45-55 minutes, depending on your pan. When the pudding is golden brown and slightly firm to the touch, it is done. Let cool at least ten minutes before serving. Scoop with a spoon or slice into squares to serve. Enjoy! 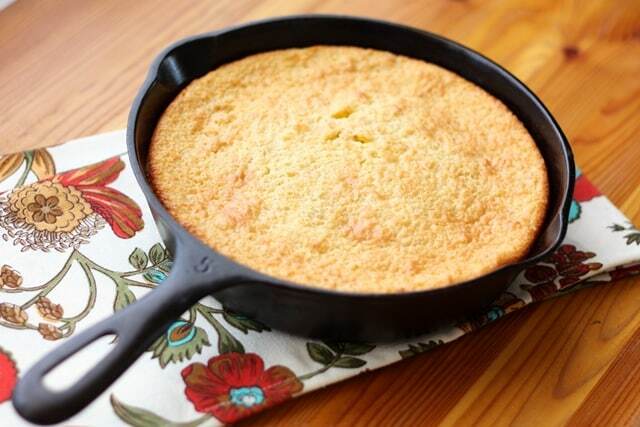 * The skillet in the picture above is a #5 cast iron skillet and it perfectly holds a HALF recipe of this corn pudding. I'm not kidding, I just can't have too much of this in the house. I'll eat it for breakfast, lunch and dinner! Another winner! I dare not show this to my husband until I am ready to make it! I've never had corn pudding but it does sound very good. To tell you the truth, I've never had corn pudding either. It's not something you see a lot of here in Canada but it looks really good! 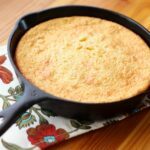 I love corn pudding and have made it using a couple different recipes that used the Jiffy corn bread mixes. 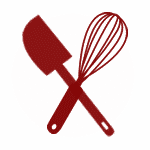 I am looking forward to trying your from scratch recipe! 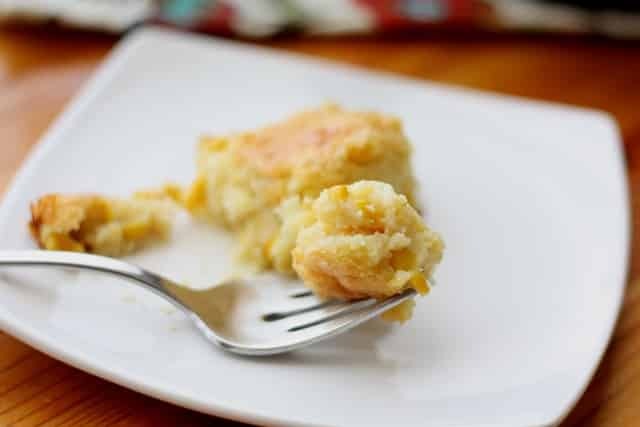 I decided to make a corn pudding for Thanksgiving instead of sweet potato casserole and this recipe is awesome. The only thing I did different was I used softened cream cheese instead of sour cream (I ran out of sour cream). It was a great hit. Thanks for the recipe. This is one of my favorite recipes. Could I make it in muffin cups for individual servings? How long would I bake it then? I'm sure you could bake it in muffin cups. I've never done that myself, so I can't give you a time. I'd probably start checking for doneness around 15 minutes and expect them to be done between 20-25 minutes. Definitely let me know how they turn out if you try it! This is the fourth Thanksgiving that I have made this delicious recipe for my gluten-free mother-in-law. It is always such a hit with the entire family. Thank you! That's so great to hear. I'm thrilled that you enjoy it. Mine is going into the oven now. Happy Thanksgiving!